This coffee comes from the Nova Coffee washing station in the Gicumbi district of Northern Rwanda. The washing station was previously operated as part of a cooperative, but there was little invested in the washing station or the cooperative itself to increase quality and their capacity. 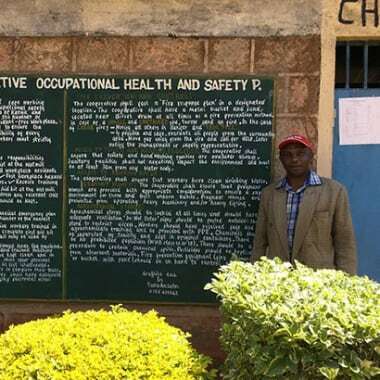 But Agnes Mukamushinja saw the potential of the washing station, and purchased it in 2013 with her husband, and renamed the washing station to be Nova Coffee. She’s driven investment in the operations at the wet mill with a new pulping machine, new fermentation tanks, sorting and floating areas, as well as new drying beds and a better warehouse for storing parchment. There’s also been investment in the many smallholder farms in the surrounding community. These farms are usually small, run by families with some coffee trees on small amounts of land, who take care of the trees and pick the cherries themselves. Farmers can deliver their coffee cherry to whichever washing station they choose, and the competition for cherry can be pretty tough. 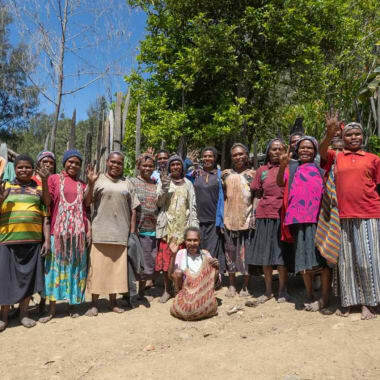 Anges and her team at Nova work hard to build and maintain relationships with the farmers around their washing station, and offer competitive pricing. Their investment in surrounding farms and the community also helps to establish good relationships. Nova also provides medical insurance (Mituelle de Sante) to fifty households, and hosts football and cycling competitions for the community. They also reward the farmers who have supplied the best quality and best sorted crops each season. You can read some pretty incredible testimonials from workers and farmers on their website. What happens at the washing station? Farmers deliver their cherry at the reception area of the washing station, where it will be checked to make sure the farmer has picked and sorted correctly. In cases where further sorting is required, the farmer will be asked to do so, then it’s weighed and moves on to pulping. The cherry are placed in a tank prior to pulping where ‘floaters’ are removed, using simple technique: over-ripe and undeveloped cherries rise to the surface of the tank, ripe and green ones are dense and sink. The unripe or over-ripe are processed separately, and sold as as lower grade coffee. From here the coffee is pulped and then fermented. Rwanda’s climate through most of the harvest season is relatively cool, which helps in controlling the fermentation process. After this the parchment is graded and washed in channels, it is separated into two grades based on density before being soaked under clean water in tanks for up to 16 hours. The parchment is initially taken to shaded pre-drying tables, and while the parchment is still wet another round of sorting is done by hand as it is much easier to spot defects at this point. The parchment is dried on African drying beds for up to 15 days, and covered by shade cloth during Rwanda’s intense midday sun, or to protect it from moisture during any rain and at night. Once dried, it’s packed in bags and shipped for export. The last time we shared a peaberry was a year ago: Nyamasheke PB, from Rwanda’s Western Province. Nova also works with the Rwanda Trading Company to increase efficiency and quality. 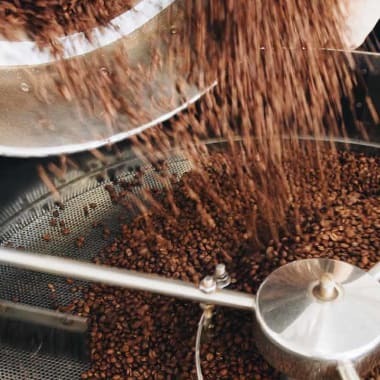 The Rwandan Trading Company owns and manages a small number of washing stations in Rwanda, and also works with many other washing stations and independent farmers throughout the country to help improve production, quality control and market their coffees. RTC was established in 2009 as a vehicle for social impact and offers financial literacy, agribusiness management and agronomy training programs to its partners to increase yield and keep them operational, profitable and healthy. Read more about the role of coffee in empowering people in Rwanda. 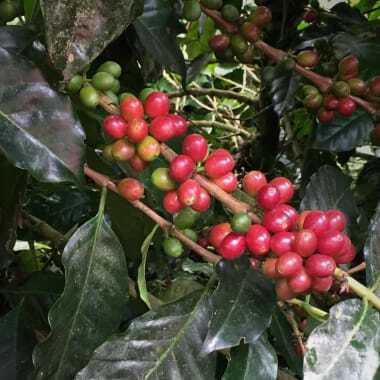 What makes up Rwanda Nova PB?